Maalhos, Dharavandhoo and Kihaadhoo islands in Baa Atoll pledged to end the open burning of island waste, in a movement towards eco-friendly waste management called ‘Namoona Baa Atoll’, during a workshop on waste held at Soneva Fushi resort from January 5 to 8. The pledge was made by the Island Council Presidents of Maalhos, Dharavandhoo and Kihaadhoo. 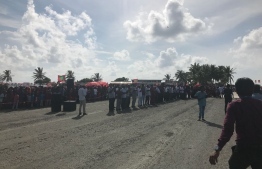 In order to end open burning of waste, each island pledged to create an ‘eco-centro’ waste-to-wealth centre that will sort, recycle, and reuse island waste. 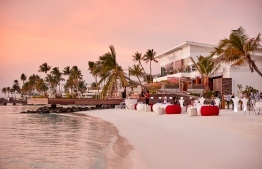 Soneva Fushi pioneered an ‘eco-centro’ model that grinds down and composts waste materials, which can then be converted into products with economic value, such as concrete building blocks and fertilizer. Similarly, plastic waste is either recycled or used to create new and functional objects. The ‘eco-centros’ will be established on the three islands supported by funds from Soneva Save our Seas programme. 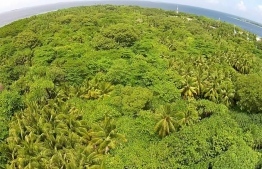 The first ‘eco-centro’ will be inaugurated in Maalhos this summer, ending open burning in the island as the ‘eco-centro’ becomes fully operational. “Maalhos is doing better than most islands when it comes to waste management but we still face problems managing solid waste. The Namoona Baa Atoll initiative will revolutionise the way we manage waste on Maalhos”, Malhos Council President Abdulla Shujau said. Dharavandhoo Council President Ali Maajidh added, “As an island that relies heavily on guesthouse tourism, this is an exciting prospect for Dharavandhoo. I hope that what is being done on Dharavandhoo, Kihaadhoo and Maalhos will be well received and the government and other stakeholders will look at these three islands as a model to be replicated on other islands". 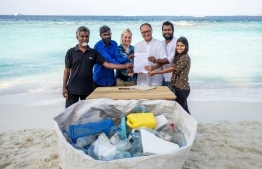 Moreover, the Island Council Presidents of Maalhos, Dharavandhoo and Kihaadhoo also established a partnership between their islands, Soneva Fushi and Common Seas, an international NGO dedicated to reducing marine plastic pollution. 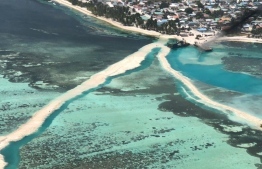 This partnership, which is a part of the international Clean Blue Alliance that supports islands to prevent plastic waste leaking into the ocean, sets a course for Baa Atoll to become a global leader in halting ocean plastic pollution. Senior officials from the President’s Office and the Ministry of Environment, who attended the workshop, took note of the partnership and the initiative to build ‘eco-centros’ on the three islands. Plastic waste pollution poses a perilous threat to the marine environment of the Maldives, with plastic bottles littering beaches, plastic bags smothering coral reefs, and plant detritus killing marine life. Soneva and Common Seas have taken various initiatives to provide sustainable solutions for plastic pollution, encouraging many others to do the same.